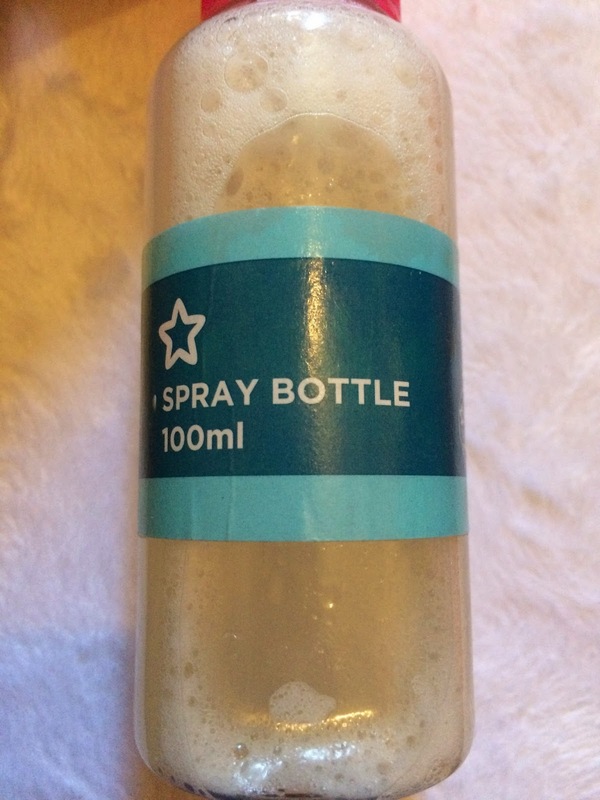 I wanted a salt spray which wasn't too drying on my hair so I decided to make my own. It was pretty successful and I've been using it everyday since I made it. 1. Use a measuring jug or cup, pour in the water and salt and stir until it's dissolved. 2. While the water is still very warm, stir in the coconut oil. 3. Stir in the argan oil and the leave in conditioner. 4. Use a funnel to transfer the liquid into your spray bottle. You may need to shake your bottle a little before using as the oils tend to rise to the top if you don't use it for a bit. Even if it looks a bit uneven in the bottle, it always applies well and scents my hair beautifully. The scent of coconut oil and Aussie together is pretty lovely so I've been obsessed with using this! !